The city is under attack from a supervillain and it’s up to our group of mysterious metahumans to stop him. Fundamentally, Arcane Reel Chaos may have a cliché superhero narrative, but the characters are anything but classic superheroes. Here, you’ll join our peculiar band of hero mutants, better known as Psyop, Flare, Zero.x and Chronos, in the battle against evil nemesis Deep Pockets. 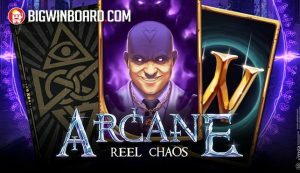 This marks NetEnt’s second superhero-themed slot in little over a month, although Arcane Reel Chaos is a much darker and more grown-up story compared to the childish looking Disney-inspired Wild Worlds. Despite its stylish and complex looks, the slot comes with a basic 5-reel, 3-row and 20-payline setup that is as predictable as the superhero plot. 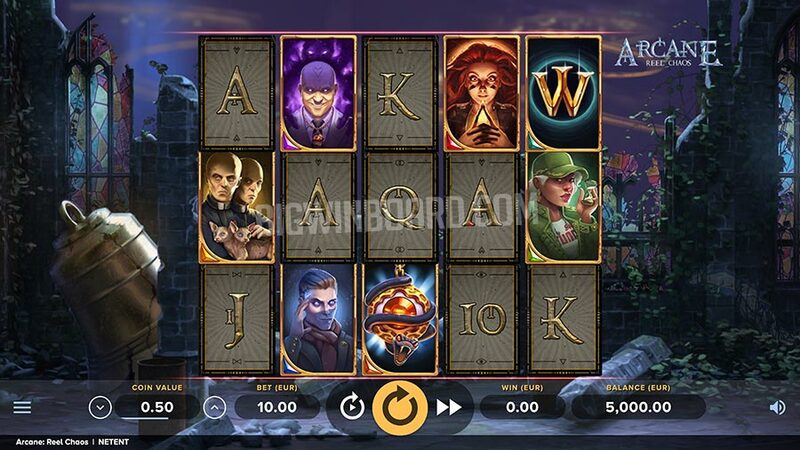 Playable from on all devices from 20 cents to 200 Euros per spin you’ll benefit from a set of randomly triggered mini-features in the base game where the heroes will appear to grant you Overlay Wilds, Stacked Wilds, Multipliers and Respins that can boost your wins with multipliers up to 10x. The big showdown takes place in the multi-level Free Spins bonus where the multiplier goes up to 4x. If, like us, you’ve been playing NetEnt slots for a few years, what might strike you as a bit odd is the new interface. We’re not sure what that is all about and whether or not it’s a one-off, but it does give the slot a more modern appearance. Furthermore, the symbol values in the paytable are displayed in actual cash value relative to current bet instead of the more confusing coin value, something that is also a new thing for NetEnt and, if here to stay, a welcome change. The excellent visual design should come as no surprise if you know NetEnt. Set within the ruins of an old cathedral (which is almost uncanny knowing there’s a fire raging at iconic cathedral Notre-Dame as we write this), you’ll see A, K, Q, J and 10 royal values as well as the 4 previously mentioned superheroes. It is the nefarious Deep Pockets that is the most rewarding, however. Land 5 of him on a full payline and you will get 50 times your stake. Included in the symbol set is also a wild which performs the usual duties of substituting all symbols bar the scatter. Psyop (Super Power: Stacked Wilds) – can give you between 2 and 3 fully stacked wild reels. Zero.x (Super Power: Overlay Wilds) – when zero.x appears you can look forward to 3 to 5 wilds randomly placed on the reels. Flare (Super Power: Multiplier) – this strong woman will boost your wins by x3, x4 or x5. Chrono (Super Power: Respin) – only appears following a non-winning spin. All reels will respin, continuing to do so until a winning combination occurs. With each respin, a multiplier meter increases by 1 up to a maximum of x10. If you pass the final level, you’ll be awarded an additional prize known as the Victory Bonus. Surprisingly, the biggest potential here is found in the base game and not in the free spin feature which is otherwise typically the case. While most features are quite mediocre in terms of payouts (around 500x), the most powerful one is found in Chrono’s Respin feature where you can achieve wins of up to 1212.5 times your stake. We like the narrative here and the well-developed characters. Design-wise, it’s exquisitely crafted and rich in features, coming together elegantly to convey the story. 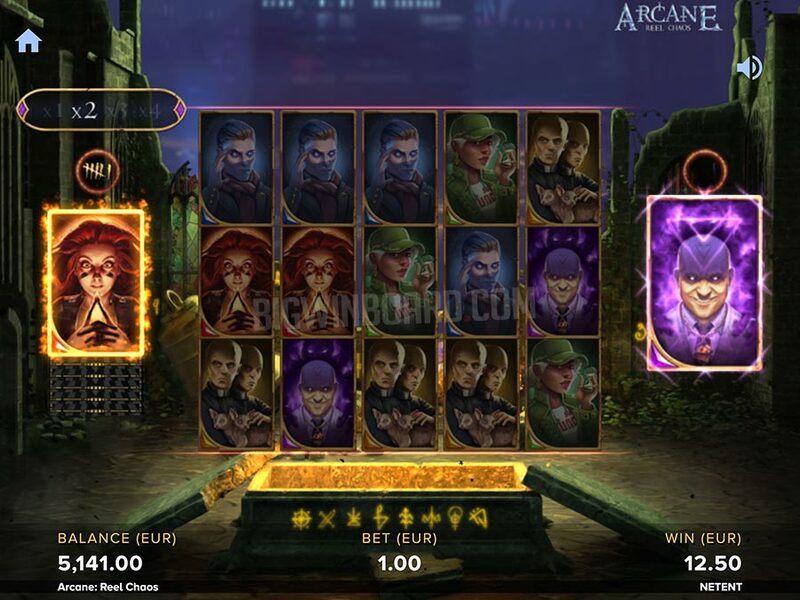 Admittedly, we’re a little bit disappointed with the relatively low potential, but seeing as the random features tend to activate quite frequently, it’s possible NetEnt’s plan here was to make it a more balanced game by distributing the wins more evenly. Also worth noting is that the mechanics at play are suspiciously similar to South Park Reel Chaos, an old NetEnt title that has been pulled from the market. In other words, it’s not unlikely that NetEnt has found new use for an expired game.